Don't be caught without the essential toiletries again! Why should every traveller keep a Multi-Pack handy? The pack is a backpacker's best friend, a lifesaver for frequent flyers and a camper's dream come true! The soap2GO Paper Soap Sheet range is perfect for anyone who wants to travel light and fly right – because they're all suitable to slip into your carry-on luggage. 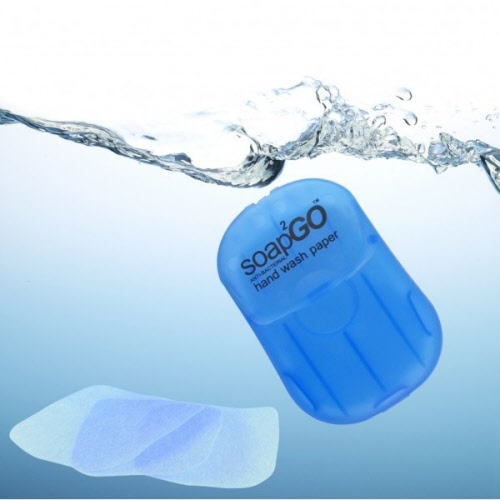 No more bulky bottles of shampoo or conditioner to leak through your luggage. 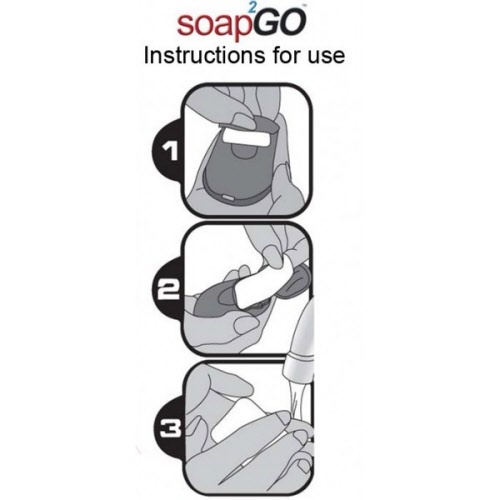 No more packing slippery wet soap that turns to mush. 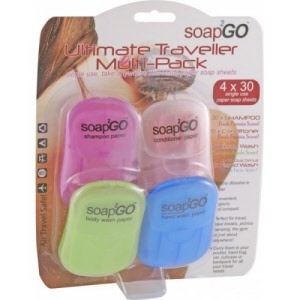 The Ultimate Traveller Multi Pack takes care of all your personal washing needs in just the amount you need. Compact, convenient and easy to use, you'll have plenty more room in your bag. 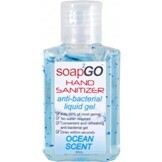 Anti-bacterial Hand Soap is hygienic and fragranced with ocean fresh scent. They can even slip into your handbag for everyday use. 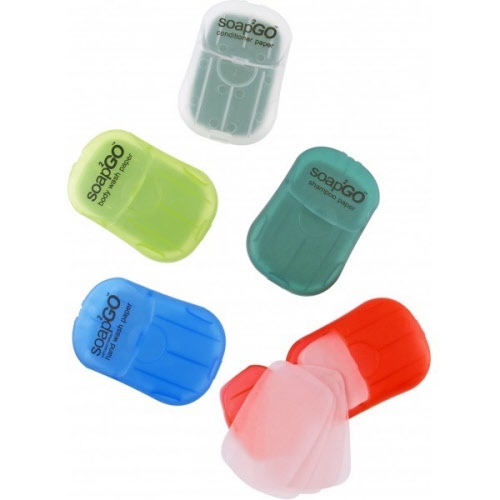 soap2GO Shampoo comes in fresh freesia scent and can even be used in sea water! soap2GO Hair Conditioner gives your hair a great healthy glow. 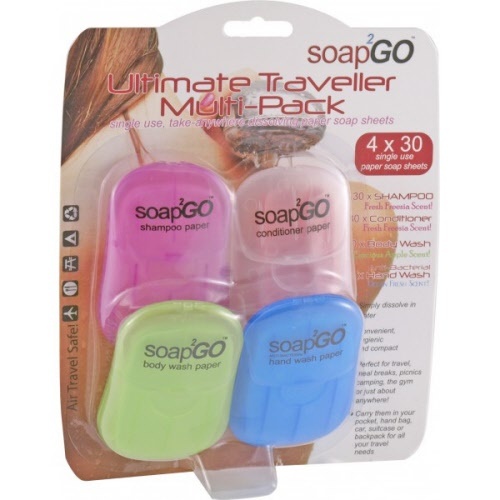 soap2GO Body Wash will freshen up even the most weary traveller, with a luscious apple scent!